Lister Lutyens Company developed what is now a very famous brand of furniture, first established way back in 1883 their furniture designs still enjoy huge popularity today.. The Lister S-Line Relax Chair is designed for roomy comfort and convenience. 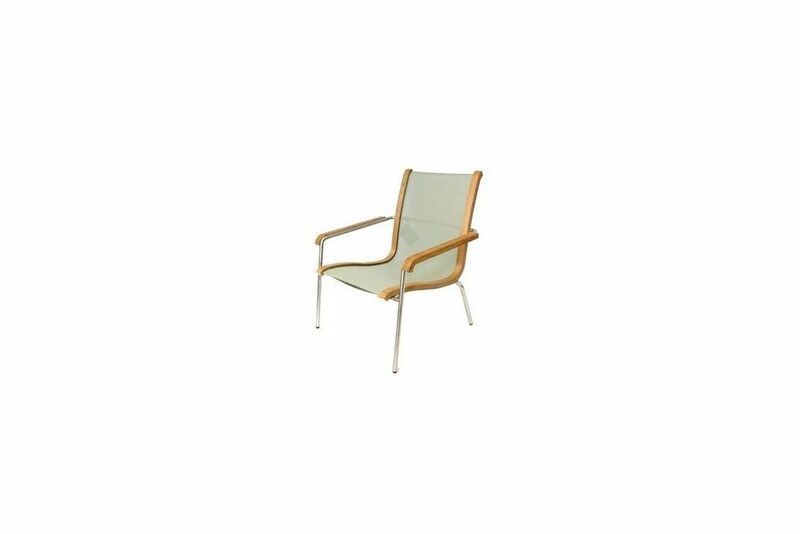 It has a contoured design that is set low to the floor in a combination of stainless steel and the finest quality teak. fabric sling is made from Textilene which is a PVC Coated, Woven Polyester. It is specifically developed for outdoor use and is unrivalled for its strength, durability and non-tear qualities. This makes it perfect for regular outdoor use. The vibrant colours will remain crisp even after exposure to the harshest weather conditions. Textilene is also fire retardant, rot resistant and stable across hot and cold conditions.